joined Ensco in September 2003 and was named to his current position as Director – Finance & Administration (Middle East, Africa, Asia & Pacific Business Unit) in July 2014. Prior to his current position, Mr. Walker served as Director – Finance & Administration (Europe & Mediterranean Business Unit) and in various other leadership positions. Prior to joining Ensco, Mr. Walker spent over 5 years in various commercial and marketing roles for ExxonMobil. 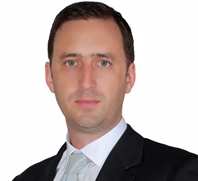 Mr. Walker holds a BA Honours degree in Business Studies and an MBA from Heriot-Watt University in Edinburgh and is a Chartered Management Accountant.